Dr. Sue Johnson has revolutionized the field of couple therapy. Through her decades of research and innovative approaches, she has harnessed the power of attachment science to develop and rebuild deep intimacy in relationships through Emotionally Focused Therapy (EFT) – the only model of couple therapy that has been tested and shown to create lasting change in over 20 empirical studies. In this 2-day certificate course, Dr. Johnson will show you step-by-step how to apply her proven EFT model to your practice to help your clients grow within their relationships – even in the presence of complex issues such as trauma, PTSD, anxiety, depression, sexuality and more! Through guided instruction, group discussion, videos of actual couple in-sessions, and clinical exercises, you will take away practical strategies to use immediately with your most difficult couples. Register today to earn your certificate and revolutionize the way you work with couples! Give examples of the laws of human bonding, how they operate in adult love relationships, and how these laws inform the clinician’s choices of treatment interventions. Explain the EFT model as a secure base for effective couple therapy. Identify the three stages of the EFT model to offer clients a way out of destructive patterns into new ways of relating based on closeness, safe attachment and connection. Utilize how EFT explores and deepens emotions with clients in a way that maintains safety. Implement corrective emotional experiences for couples that create real forward movement in a single session. Articulate the “stuck” places couples encounter that perpetuate negative cycles and emotional disconnection in love relationships, and utilize this information to improve clinical outcomes. Outline the 10 principles of attachment theory and how these principles can help guide intervention in couple sessions. 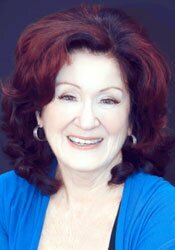 Determine alliance issues and escalating hostility in clients during stage 1 sessions of EFT. Implement techniques to deal with clients who are shut down, withdrawn and lack of engagement in therapy. Demonstrate how to adapt the model to different co-morbidities in session like depression, anxiety and trauma and sexuality. Breakdown blocks to constructive dependency in all stages of therapy and shape change events in session. Utilize clinical strategies to resolve attachment injuries, such as affairs, to shape trust and reconciliation between clients. Demonstrate how to adapt the model to different individuals to improve client engagement, including escalated, traumatized, and depressed partners. I will never forgive you …. WASHINGTON SOCIAL WORKERS/COUNSELORS/MARRIAGE & FAMILY THERAPISTS: This training has been approved for 12.5 CE’s for Washington Licensed Mental Health Counselors, Licensed Marriage and Family Therapists and Licensed Clinical Social Workers. WMHCA Provider #1504.